Jeanne’s Traditional Cakes are created with a shortbread cookie crust and dark chocolate shavings on the sides. Traditional Cake Flavours: White, Chocolate, Marble, or Banana. Slab Cakes are created with shortbread crumbs on the sides (sorry, but slab cakes are not available with the shortbread crust). 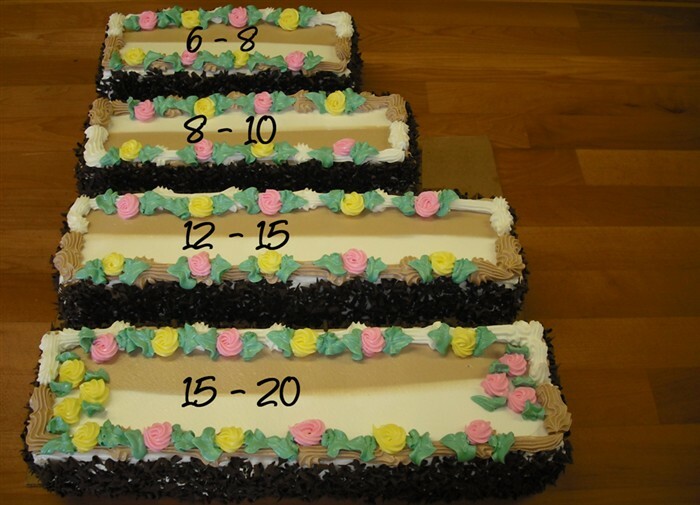 Slab Cake Flavours: White, Chocolate, Marble or Banana. 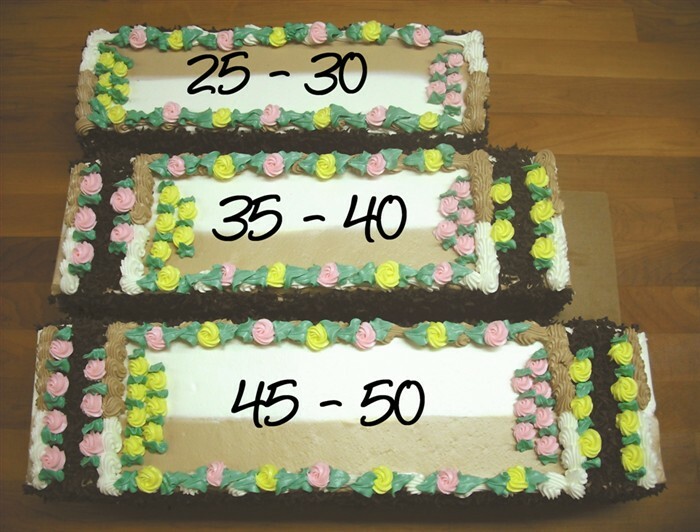 Please call us at 204.774.2554 to place your custom cake order now! Click on the cake images to zoom in. Never refrigerate a Jeanne’s Cake. This will dry out the cake in less than 30 minutes. You can freeze and re-freeze our cakes. They will stay fresh for 4 months in the freezer. 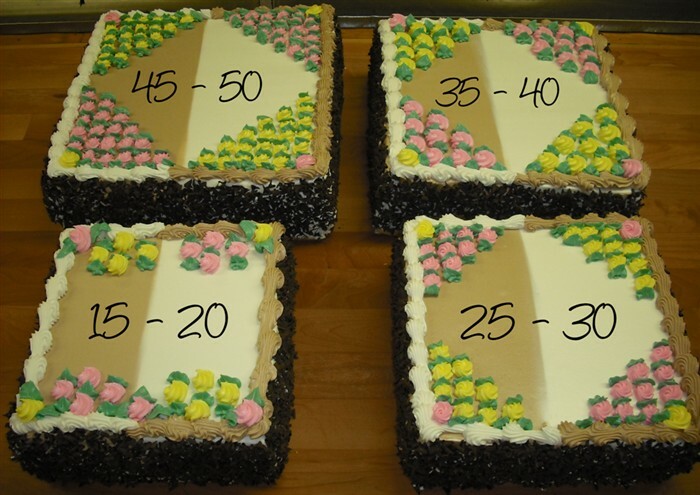 Our cakes will stay fresh for 5 days on the counter at room temperature. We offer our Agents a limited variety of our products for retail sale. Not all Agents carry all items. Prices may vary from what is listed above.